About six and a half years ago, I made a phone call and subsequently showed up on Monday night at a martial arts school located about fifteen minutes from my apartment at the time. Little did I know how much that night would change me. Of course, I expected physical improvement, and I also knew I would learn valuable self-defense skills, but I soon learned that some of the best lessons martial arts has to offer are not the ones you expect when you take that first step into the first class. After class group shot at Black Belt USA – we’re a motley group. The school I walked into was Black Belt USA in Charlotte, NC, and the art I began training was Muay Thai. At the time, I did not realize how fortunate I was to find such a wonderful school with such wonderful teachers. Arjarn Dan King and Arjarn Dr. Ying King, a husband/wife team, own and operate the school which teaches Muay Thai and Taekwondo. The Kings are Thai, so their approach to teaching Muay Thai is different from that which you will find at the MMA gym around the corner. Additionally, they are two of very few Arjarns (the highest ranked teacher in Muay Thai) in the USA. So what did I learn that was unexpected? 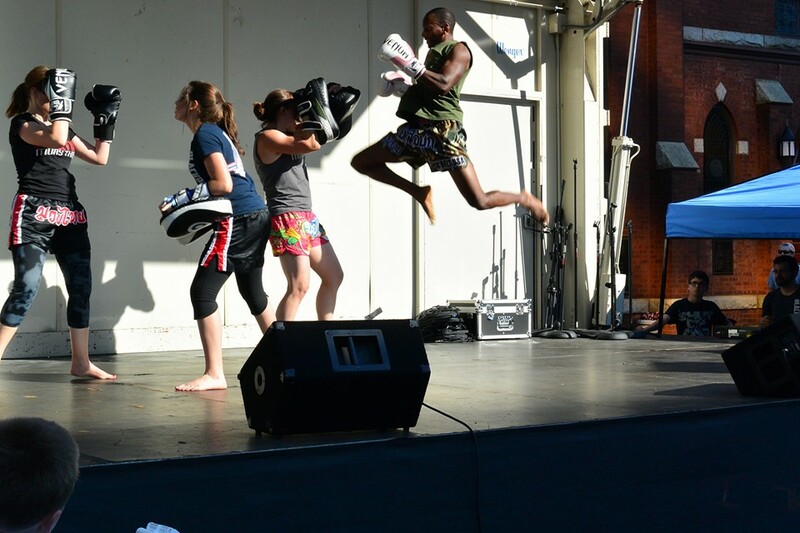 I’ll begin with one of the cornerstones of Muay Thai, Thai culture itself, and the culture at BBUSA. At our school, the first lesson a student is taught is the Thai sign of respect. It’s called wai and is used when greeting, departing, before we do rounds, when someone does something for you… There are many instances when it is appropriate. It is an outward expression of how each of us (regardless of cultural background) should regard our fellow human beings. We see them and recognize their worth. Just like practicing kicks and punches, performing the wai has made me more conscious of others and how I can learn something from everyone I meet. We also refer to one another as “Sir” or “Ma’am”. I know that some people don’t particularly like being referred to using these terms. For them, it is too formal. That said, I’m still going to default to “Sir” and “Ma’am” unless someone expressly tells me not to. In our American society that all too often glorifies demeaning others, I prefer to use this really simple sign that others are important and have worth. It helps prevent conflicts all together, brings out the best in others more often than not, and just makes day-to-day life a more pleasant. So…. *wai*. 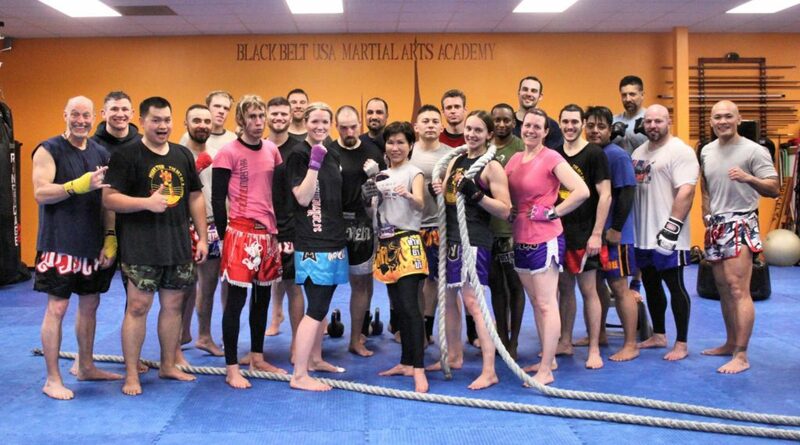 Muay Thai students at BBUSA test. 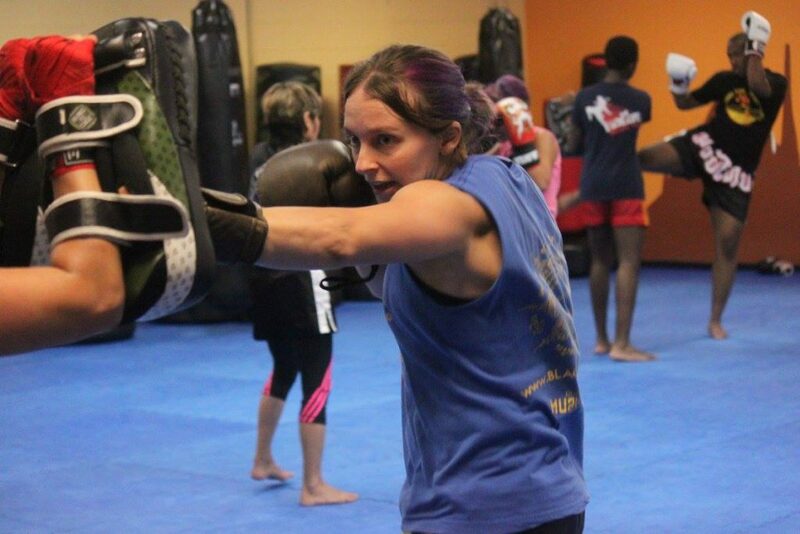 The rankings and frequency are a bit different from those in other martial art styles, but for students who train at Thai Boxing Association of America sanctioned schools, testing is a part of Muay Thai if you ever intend to teach (ie. become a Kru (aka. “Master”)). Muay Thai tests are exceedingly physical. The goal of the testers is to, in the words of Ajarn Dr. King, “empty your tank. You should have to earn it.” This means at the end of the test, the testee should be physically spent. When testing at our school, especially in upper levels, you have to want to finish…and you have to want it badly. Even the well-trained and well-prepared must rely on his/her heart to finish. Basically, your body screams “stop”, but you must power through it. As Arjarn King says, “mind over body.” Basically, you make up your mind to finish. Then, you finish, no matter what. 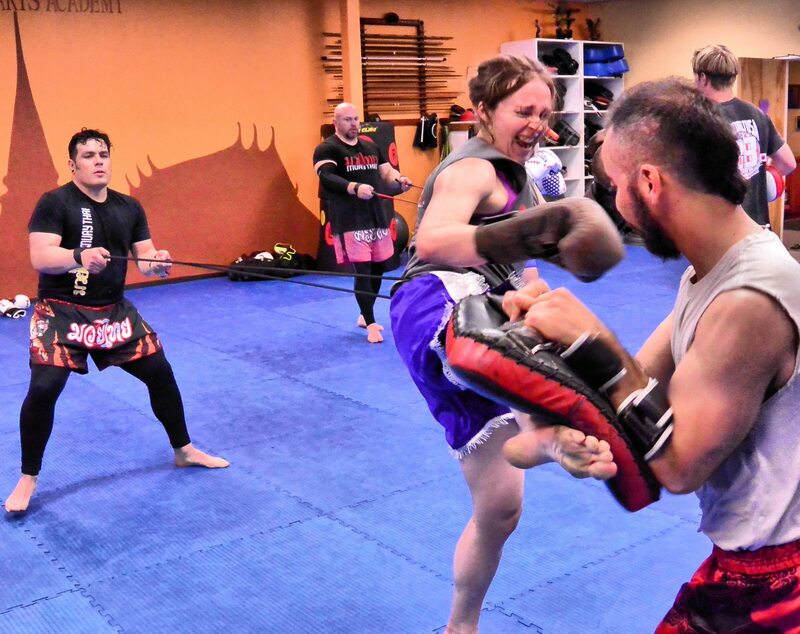 This ability to power through a difficult task, that Muay Thai testing elicits, is applicable in many different areas of life, whether that be a bad day, work project, or rough patch in a relationship. Inevitably, you are forced to face reality. If you stick with training in martial arts, and especially so Muay Thai, you will eventually be forced to face reality. When I say reality, I do mean “things as they are” rather than “things how you want them to be”. There is really no better place for this to happen than a sparring class. Sparring at BBUSA allows students the chance to practice the combinations and skills we have learned on a person who is responding and countering. Realistically, we are not trying to hurt one another, and no one is the “winner”. However, the experience is always humbling to beginners because inevitably everyone makes mistakes and not everything one tries works. Sometimes, nothing one tries works. It’s really easy to feel that you are “losing” because what you try isn’t successful. Even though these mistakes don’t equate to getting knocked out or a broken nose, they are still humbling and in some cases demoralizing. To be successful, you must accept those failures and learn from them. Truthfully, this never changes no matter how long you train. No matter how experienced you are in the art, you will have failures, you will learn new lessons, and you will meet different partners with different strengths. To be successful, you have to adapt and change. The truth that this cycle continues as long as you participate must be faced and accepted in order to grow and improve. Once again, this holds true in other areas of life…and life itself actually. All martial arts teach balance. In Muay Thai, as in the others, it is important to have physical balance so that you are not easily knocked down, but balance is not only important in maintaining your stance and controlling the recoil of a kick. The balance to which I refer is that of the emotions. In sparring, testing, and fights, emotions can be very powerful allies. They can make your responses sharper, impart strength, and help you tap into that heart you need to finish what you’ve started. That said, there is no better place to see the negative effects of emotion than, once again, sparring. Emotions that run out of control are your worst enemies, especially if you are working with a skilled opponent. The top culprit is anger, though other emotions can come into play. The moment you become outright angry in any bout, you’ve already lost because you stop thinking and reacting clearly. I’ve seen it happen time after time; I’ve experienced it too. Desperation takes over, you rush rather than patiently creating the opportune moment, and everything comes apart. The most effective martial artist is the one who has acquired the ability to harness the invigorating power of emotions without allowing their destructive powers to get out of control. I believe this may be one of the most valuable lessons I have learned from Muay Thai because it is so applicable and it applies to a much larger sphere than the ring. The benefits of the balancing act are not only limited to emotion but extend to all of life. Bad things are often simply too much of a good thing. Before I began practicing Muay Thai, I did believe in the value of respect, I knew that there were some situations I must power through by sheer heart, I understood that there was a difference in “what is” and “how I want things to be”, and I had experienced the benefits of balance. 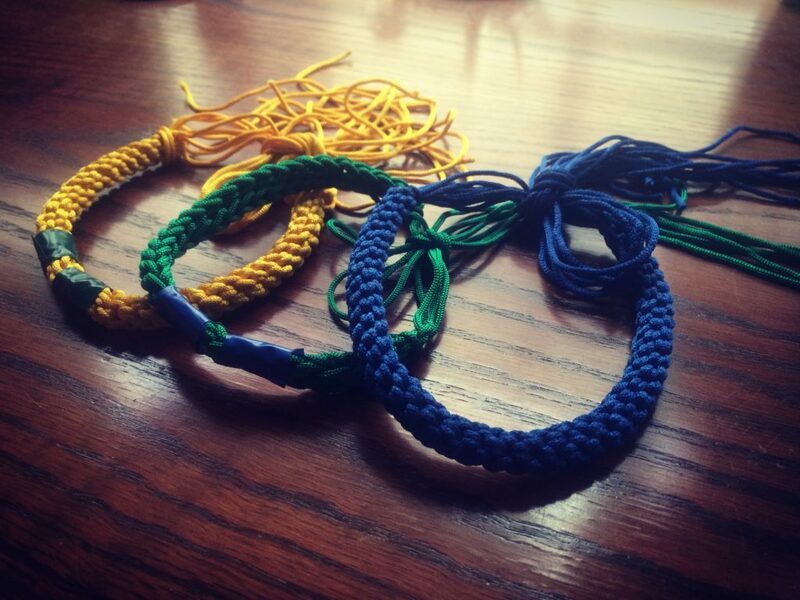 However, before I began Muay Thai, I had not paid attention to how essential to success these concepts were. Why? Well I had never really analyzed my life in these terms. Practicing Muay Thai forced me to do so because, if I didn’t, I couldn’t continue (at least not at such an authentic school). It got rid of the many distractions that are present in those challenges when they occur in everyday life. With the distractions gone, it was much easier to learn those lessons in a deeper and more effective way. It also allowed me to practice those situations over and over and over. And doing so really has changed my life, enabling me to become who I am. I believe it will enable me to keep becoming. 8 Responses to "A Few Life Lessons from Muay Thai"
Your post is beautifully written and very inspiring! Thank you, Ma’am? ?.